12V Trickle or Charge whilst car off? I have a dashcam I want to record whilst parking. I cannot get my Ateca to keep anything charging from the 12V port. I had an Audi A3 Quattro before it was brilliant changed without anythign in the ignition meaning the time I was at shops or anywhere I could record withe the dashcam, caught a hit and run before now. So I'd like the same ability on my Ateca, can this be changed? Re: 12V Trickle or Charge whilst car off? Mark on the OBD and fuse box, I did note in the pictures I took off the passenger foot well there were some twisty plastic lugs that looked like an access panel so I did wonder what was under there. May be all the panels have these. I never look at the drivers side. Last edited by Tell on Tue Dec 27, 2016 5:06 pm, edited 1 time in total. EDB4YLI55 wrote: I have a dashcam I want to record whilst parking. Did you manage to install your dash cam, in my current car I use a piggy back fuse, but trying to find a earth was a pain. 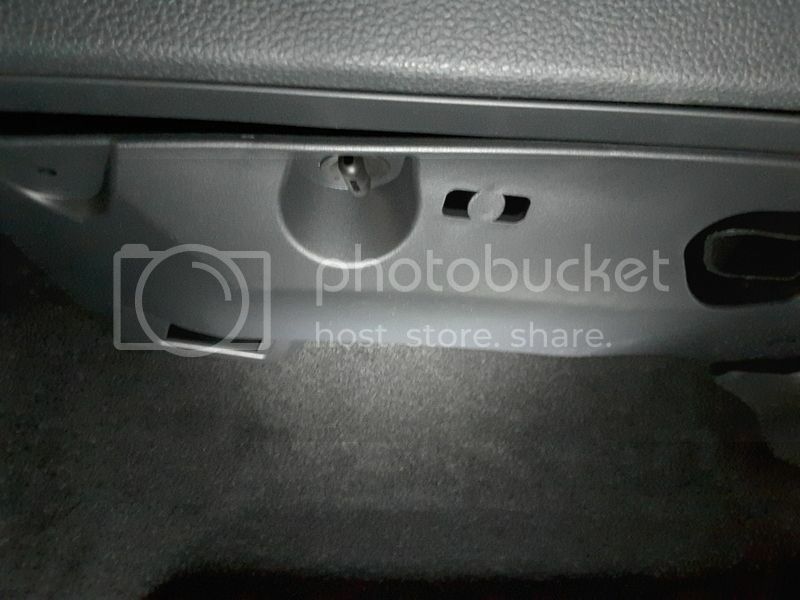 Does the Ateca have ground points near the internal fuse box? 1.4TSI Xcellence, Bila White, Xcellence pack, Panoramic sunroof. Sorry to bump old thread but did you find ground points near the internal fuse box? I am planning to use piggyback fuse and back wiper for ACC and 12v power outlet for Battery always on. I'm installing BlackVue with power box and everything else went smoothly but cannot find ground. Ps I'm assuming that Seat hasn't have anything fancy Efficientdynamics with IBS like BMW. That might cause problems when there is direct grounding. From what i have seen on a Spanish forum they have used the bolt next to the fuse box for a ground.